National Signing Day 2018 is in the books! While it doesn’t have the anticipation of previous years, due to the first-ever Early Signing Period in December, there was still lots of movement. 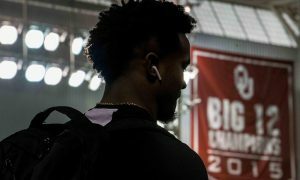 But now that the classes are complete, here is a look at every Big 12 class and where these programs stand on the national stage. *This story included contributions from HCS’ Matthew Postins and Derek Duke. Head coach Matt Rhule and his staff put a premium on restocking their offensive skill positions and they have to be happy with the haul. Bohanon was the No. 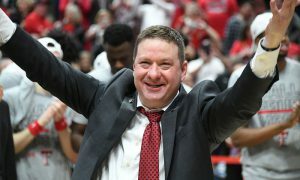 1 recruit in Arkansas and is already enrolled. Wide receiver Tyquan Thornton, out of Booker T. Washington High School in Miami, is also enrolled early. The Bears also snagged DeSoto (Texas) WR BJ Hanspard (the son of former Texas Tech running back Byron Hanspard), Cedar Hill (Texas) WR Joshua Fleeks, Crosby (Texas) all-purpose player Craig Williams and Silsbee (TX) WR Kalon Barnes. All of them are among the Top 400 recruits in the country, per 247 Sports. Hanspard and Williams are Top 11 at their positions. Matt Campbell continues to make strides, with his third recruiting class in Ames his best one yet. The wide receiver position is loaded. Scates, from Dayton, Ohio, leads the way. But the rest of the position group is solid as well with Sean Shaw Jr. (Jones, OK), who is 6’6”, 200, and ranked a top-100 WR in the country. There’s also depth with 3-stars Carson Schleker and Tayvonn Kyle. But it’s a very balanced class for Campbell, who also brings in a lot of pieces for his secondary, including the No. 3 JUCO safety in the country in Greg Elsworth, who is already enrolled at Iowa State. The last-minute addition of potential future QB Brock Purdy (3-star PRO QB, No. 36), who picked the Cyclones over Texas A&M, is the kind of decision that would’ve been unheard of just a few years ago. It’s not quite the top-25 class that KU folks were crowing about last summer, when it felt like half of the top prospects in Louisiana were going to Lawrence, but it’s a class, all things considered, KU should be pleased with (especially considering recent results on the field). Anthony Williams is one of those four-star players who chose KU over LSU and others. Tony Hull did a nice job landing this top-300 player, who is a big-play threat and can play running back or line up in the slot. Along the defensive line, the Jayhawks are bringing in several quality three-star players like Najee Stevens-McKenzie, Azur Kamara, Foster Dixson, Charles Cole and Miles Emery. This is good news for a KU team that only had 22 sacks in 12 games last season, the second fewest in the Big 12 conference. Of all the commits, six come from the secondary, including some highly-touted JUCO players that can help a team that gave up the most passing yards in the Big 12 conference last season. Darreyl Patterson from Northeastern Oklahoma A&M is the No. 16 JUCO cornerback in the country, along with his teammate, Kevion McGee, who is the 10th ranked JUCO safety in the nation. Then there are two high school safeties, Lance Robinson and Wayne Jones, who are two of the top-3 rated players in the class. As for why we went with co-stars in the class: Sowa is the No. 1 fullback in the country, so we have to give him some love. Especially since he will get used in this offense. But, he’s still a fullback. So we threw in Holcombe, who is the No. 23 dual-threat QB in the class. The offense is unlikely to be a problem, even without Baker Mayfield. 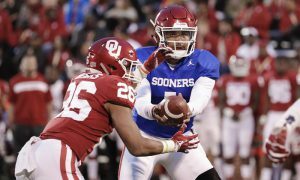 It’s the defensive that has and could keep holding back OU from it’s National Championship aspirations. Well Lincoln Riley and company did everything in their power to make sure this class is loaded, especially along the defensive line. Ronnie Perkins (4-star, No. 5 WDE), Michael Thompson (4-star, No. 4 DT), Ron Tatum (4-star, No. 5 SDE) and Jalen Redmond (4-star, No. 8 WDE) round out and incredible defensive line haul. Those are four of the top seven players in this OU class, and they’re all along the D-line. Brey Walker is the only 5-star of the group and is a monster at 6’7”, 320. Their are plenty of ATH (athletes) coming in with this class as well, guys who aren’t defined by their position just yet, but that’s more than OK, because the Sooners have a ton of quality and depth at the offensive skill positions for the next couple of seasons. The Sooners addressed their needs and also recruited better (by the rankings) than they have the last few years under Bob Stoops. What else would you expect, right? OSU is after all Wide Receiver U. Along with Moore, who is 6’5”, 175, and a top 5 player in Oklahoma, there is 3-star Jonathan Shepard from Kilgore, Texas, and Sean Michael Flanagan, who is technically considered an ATH (Athlete), but can play both ways and spent time at running back and wide receiver as well. Mike Gundy is also bringing in some solid cornerbacks in JayVeon Cardwell (Cibolo, TX) and Tanner McCalister (Rockwall, TX), which a team like Oklahoma State can never have enough of in the Big 12 conference. 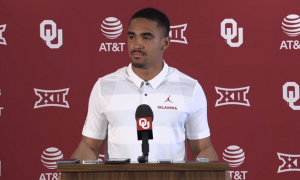 And let’s not forget quarterback Spencer Sanders could be competing for the starting job immediately and will be one of the most interesting storylines in the Big 12 this offseason. For Texas fans, this class hit the jackpot signing 11 of the state’s top 15 players (According to 247). There is no doubt that 6-6 was a disappointment last year but if Texas can go back to recruiting like this on a consistent level, watch out. Expect to see plenty of nickel and dime packages in Austin in the years to come! This group is as deep as there has ever been for the amount of talent Tom Herman is bringing in in the secondary. Texas signed three of the top six safeties in the nation with Caden Sterns, BJ Foster and DeMarvion Overshown. As for Sterns, he brings to Texas an ability to be a complete ball hawk and control the back end of a defense. He has got the size, speed and athletic ability to be a very dominate player that Texas needs in the secondary. Let’s not forget the Longhorns were also able to get three of the nation’s top 15 corners with Jalen Green, Anthony Cook and D’shawn Jamison. 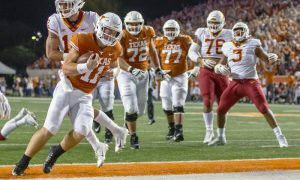 I know Texas hasn’t been exactly dominate in quite some time, but this group right here has the chance to be special. The kind of special that could bring back “DBU” to Austin. Gary Patterson and his staff put together a balanced class, but the Horned Frogs needed to reinforce the pipeline in the secondary as they’re set to lose two senior starters. 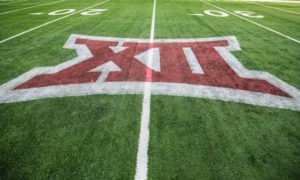 The staff did this by securing five recruits within their state’s Top 100 players, with the key piece being safety Atanza Vognor out of South Grand Prairie High School in Grand Prairie, Texas, the nation’s No. 16 safety and No. 21 Texas recruit. Offensive line is another position that needed reinforcements, and that’s where Iowa Western CC tackle Anthony McKinney, who is already enrolled, comes in handy. He could start this season. The Horned Frogs signed two other linemen in the Top 50 at their positions, but those players were not among the nation’s Top 300 recruits, so they’re likely set to be redshirted in 2018. This was not a stellar class for the Red Raiders, but as you might expect they hauled in some solid receivers to restock the pipeline, led by Ezukanma out of Timber Creek High School in Keller, Texas. Cooper (Abilene, Texas) High School WR Myller Royals is already enrolled, along with Graham (Texas) WR Sterling Galban. The Woodlands (Texas) WR KeSean Carter is also in the fold. Ta’Zhawn Henry out of Lamar High School in Houston, Texas, could be intriguing as he’s the No. 22 all-purpose player in the nation and rushed for more than 3,000 yards in high school. Kliff Kingsburg also found a quarterback in Grapevine (Texas) signal-caller Alan Bowman, a pro-style passer who is ranked No. 37 in the country. The Mountaineers kept the hometown kid home, as Dante Stills joined his brother, Darius (Class of 2017), as a Mountaineer. With such limited in-state talent, it’s more important than ever for the Mountaineers to keep these kind of players home, and they did just that. The secondary, which needs plenty of help, got a nice boost. There are three players already enrolled in No. 4 JUCO CB Joshua Norwood, No. 8 JUCO CB Keith Washington and No. 7 JUCO S Charlie Benton. From the high school ranks, the Mountaineers’ second-highest rated player is Kwantel Raines from Aliquippa, PA (home of Darrelle Revis). Dana Holgorsen and his staff filled plenty of needs that should help immediately, while also being able to groom for the long haul.